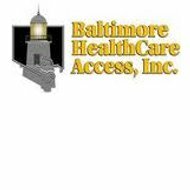 A review of Baltimore Health Insurance Company finds that the closest company to this name is Baltimore Healthcare Access, Inc. We can understand your confusion in thinking this is a health insurance company, but Baltimore Healthcare Access doesn’t actually provide health insurance; it helps connect those in need with programs for individuals, families, and seniors. Whether you live in Baltimore or elsewhere in the United States, type your zip code into the box and find health insurance rates for your local area. Baltimore Healthcare Access, Inc. was established as an independent non-profit in 1997 by the Baltimore City Health Department. BHCA connects Baltimore’s vulnerable and uninsured residents to healthcare and other important city resources. It is overseen by a board of directors consisting of government leaders, healthcare professionals, and members of the public. BHCA’s phone number is 410-649-0500. This number is also used as their healthcare hotline. Support services for vulnerable populations such as immigrants and the homeless. BHCA’s mission is equal access to needed health services, regardless of income or race. If you are uninsured, BHCA can help connect you with the right federally supported healthcare program or one of Maryland’s public health coverage programs – MCHP, PAC, or Medical Assistance for Families. There are no guarantees that you will qualify for these health coverage programs, as they are dependent upon your level of income. PAC, or Primary Adult Care program, helps insure adults over the age of 19 who are not eligible for Medicaid or Medicare, and have minimum income. PAC offers no-cost visits with a primary care provider, as well as no-cost outpatient mental health services. PAC also features low-cost or no-cost prescriptions, hospital emergency services, and addiction treatment programs. Medical Assistance for Families is Maryland’s newest public health insurance program. MAF gives full health insurance coverage to families of four earning up to $25,926 a year. Other size families are also covered by MAF – read MAF guidelines to see if you qualify. MAF covers primary and preventative doctor visits; specialist visits; outpatient mental health services; hospital services; x-rays and lab testing; emergency services; and drug prescription services. BHCA has also launched a service named “Operation Care,” where they have identified a little more than one hundred people who have called 911 dozens of times over the course of a year. Through Operation Care, BHCA caseworkers are starting to work with these “frequent fliers” to identify the reasons they call emergency services. Many of them have health insurance through Medicare but do not understand how to navigate the Medicare process. BHCA helps these clients address their health insurance needs and learn the difference between a hospital and a primary care physician. BHCA also helps them with other necessary support services. In turn, these frequent callers have stopped using the city’s ambulance crews as personal taxis to the hospital and the city has seen a cost savings in just a matter of months. To find a list of BHCA’s current job openings, click on the “Human Resources” link of the non-profits website. Job opportunities include care coordination associate, executive assistant, and director of addition outreach services. If you are interested, you can apply for a job online or download a job application. BHCA staff members have access to training programs that ensure they stay up-to-date on new developments in Medicaid, MCHP, PAC, HealthChoice, outreach techniques, and other community resources. Many of their training programs are available online and employees can receive credit for taking them there. Do not put it off one second longer! Get yourself insured by entering your zip code and finding free health insurance quotes that meet your needs.